The Freedom of Information Act, Environmental Information Regulations and INSPIRE Regulations give you rights to access official information. Under the Freedom of Information Act and the Environmental Information Regulations you have a right to request any recorded information held by a public authority, such as a government department, local council or state school. Environmental information requests can also be made to certain non-public bodies carrying out a public function. You can ask for any information you think a public authority may hold. The right only covers recorded information which includes information held on computers, in emails and in printed or handwritten documents as well as images, video and audio recordings. You should identify the information you want as clearly as possible. Your request can be in the form of a question, rather than a request for specific documents, but the authority does not have to answer your question if this would mean creating new information or giving an opinion or judgment that is not already recorded. Some information may not be given to you because it is exempt, for example because it would unfairly reveal personal details about somebody else. You don’t have to know whether the information you want is covered by the Environmental Information Regulations or the Freedom of Information Act. When you make a request, it is for the public authority to decide which law they need to follow. The INSPIRE Regulations require public authorities that hold spatial or geographic information to make it available so that you can search it in particular ways. What should I do before I make a request? You can ask for any information you choose, at any time, but you may not always succeed in getting it. Before you make a request, it may help to consider the following questions. Is the information you want already available, for example, on the authority’s website? Authorities must make certain information routinely available. You can find out what information is available by checking the authority’s publication scheme or guide to information. Do this by looking at its website or by contacting the authority. Is the information you want your own personal data? If your request is for information about yourself, such as your medical records, you should make a subject access request under the Data Protection Act. Is the authority likely to have the information? It may save you time if you check with the authority whether it is likely to have the information you want. For example, you may not be sure whether the information you want is held by your district council or the county council. Public authorities must give reasonable advice and assistance to anyone asking for information, so you should feel free to ask for help in making your request. Is the information you want suitable for general publication? The aim of the Freedom of Information Act is to make information available to the general public. You can only obtain information that would be given to anybody who asked for it, or would be suitable for the general public to see. 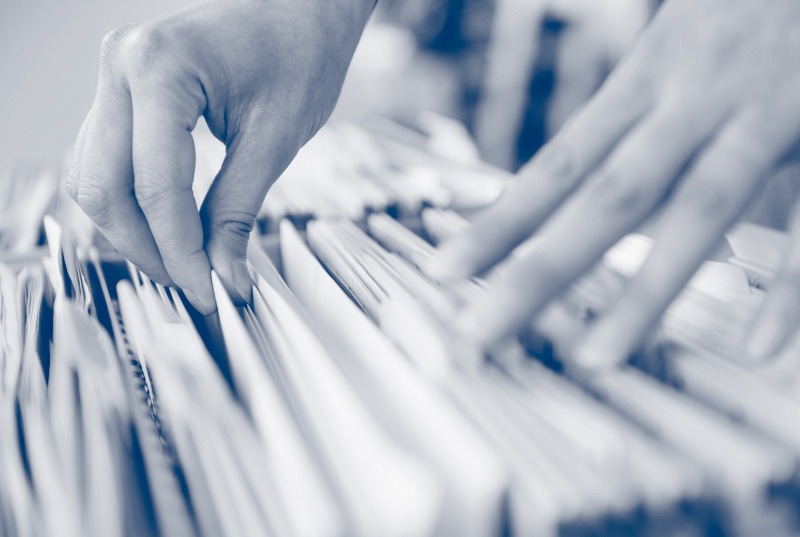 Some information, such as records about a dead relative, or documents you need for legal purposes, may not always be available under the Act. However, you may have a right to see the information you want under other legislation. The public authority holding the information you want should advise you. What are the legal requirements for a request? give an address to which the authority can reply. This can be a postal or email address. say why you want the information. It is sensible to write the date on any letters or emails you send and keep a copy, so you have a reliable record of your request. If you make a verbal request for environmental information, we recommend that you note who you spoke to, the date, and what information you requested, and you may wish to follow up with a letter or email confirming your request. A written record of a verbal request would be beneficial if you later need to make a complaint. It can be helpful to check whether the authority recommends you send your request to a specific person or email address. Some authorities also allow you to request information via their website. Some other websites allow you to contact public authorities and make a request through the site. Check that the site will allow the public authority to respond, otherwise it’s not a valid request. The ICO cannot request information from another authority on your behalf. You should address your request directly to the authority. There is no need to send us a copy of your request. How should I word my request to get the best result? Most people will exercise their rights responsibly but we also recognise that some individuals and organisations submit requests which may, whether by accident or design, cause a public authority an unjustified or disproportionate level of disruption or irritation. Some requests can cause distress to members of staff in a public authority. The FOIA has a built in safeguard to protect public authorities from having to deal with such requests (called vexatious requests under Section 14). In the case of the EIR, there is an equivalent provision for requests which are manifestly unreasonable [Regulation 12(4)(b)]. All requests place some degree of demand on a public authority’s resources in terms of costs and staff time, and we expect them to absorb a certain level of disruption and annoyance to meet their underlying commitment to transparency and openness under the FOIA and EIR. We also accept requests can be challenging in their language but using threatening or abusive language increases the risk that your request will be refused. It can be difficult for requesters to understand how information is labelled and organised by public authorities - the Act contains a provision that ensures that public authorities must consider whether they should provide you with advice and assistance, within reasonable limits. Nonetheless, the amount of time and resources that a public authority has to expend in responding to a request should not be out of all proportion to that request’s value and purpose. You need to consider the dos and don’ts below – think about your request objectively - does it trigger any don’ts? If so you may want to rethink your information request otherwise it may be refused as vexatious. If your request does lack any serious or clear purpose or if it is not focused on acquiring information, then the FOIA and EIR are probably not an appropriate means through which to pursue your concern. You might do better to explore whether there are other more suitable channels through which to take up the issue with the authority. You should also bear in mind that the FOIA includes a safeguard against requests which exceed the cost limits for compliance (Section 12). The equivalent provision in the EIR is once again [Regulation 12(4)(b)] - manifestly unreasonable requests . Therefore, if you are planning to ask for a large volume of information, or make a very general request, you should first consider whether you could narrow or refocus the scope of the request, as this may help you get what you really want and reduce any unnecessary burden or costs on the authority. Alternatively, you could try approaching the public authority for advice and assistance to help you reduce the scope of your request and cut down the cost of compliance – they have a duty to consider what advice and assistance they can provide. Although you don’t have to say why you want the information, if you are happy to do so it might avoid a lot of wasted time and be more likely to get you what you want. Can a public authority charge for a request? Yes, a public authority can charge you for the costs of sending the information, such as photocopying and postage. These are known as 'disbursements'. We have produced the following list of dos and don’ts as a quick reference tool to help users make effective freedom of information requests. Your request will be much more effective if it is clear, specific, focused and unthreatening. Find out who to send your request to. If you address your request directly to the appropriate contact within the authority then you may receive a prompter response. Use offensive or threatening language. Include your name, address and other contact details in the request. Level unfounded accusations at the authority or its staff. Clearly state that you are making your request under the Freedom of Information Act/Environmental Information Regulations. Make personal attacks against employees. Be as specific as possible about the information you want rather than asking general questions. Try to include details such as dates and names whenever you can. It may also assist the authority in identifying the information if you explain the purpose behind your request. Use FOI to reopen grievances which have already been fully addressed by the authority, or subjected to independent investigation with no evidence of wrongdoing being found. Re-read your request to check for any wording which is unclear or open to interpretation. Make assumptions about how the authority organises its information or tell them how to search for the information you want. Give the authority ample opportunity to address any previous requests you have made before submitting new ones. Send ‘catch-all’ requests for information (such as ‘please provide me with everything you hold about ‘x’) when you aren’t sure what specific documents to ask for. If in doubt, try searching on the authority’s website or enquiring whether any indexes and file lists are available. Alternatively, ask the authority for some advice and assistance in framing your request. Stay focused on the line of enquiry you are pursuing. Don’t let your attention start to drift onto issues of minor relevance. Submit frivolous or trivial requests; remember that processing any information request involves some cost to the public purse. Think about whether making a request is the best way of achieving what you want. If you have an underlying complaint then it may be better to just take your complaint to the relevant ombudsman and let them investigate. Disrupt a public authority by the sheer weight of requests or the volume of information requested. Whether you are acting alone or in concert with others, this is a clear misuse of the Act and an abuse of your ‘right to know’. Aim to be flexible if the authority advises that it can’t meet the full request on cost grounds and asks you to narrow it down. Try to work with the organisation to produce a streamlined version of the request which still covers the core information that is most importance to you. Deliberately ‘fish’ for information by submitting a very broad or random requests in the hope it will catch something noteworthy or otherwise useful. Requests should be directed towards obtaining information on a particular issue, rather than relying on pot luck to see if anything of interest is revealed. under the Environmental Information Regulations, say that it needs more time as the information requested is particularly complex and there is a lot of information to provide. In such cases the time limit can be extended by a further 20 working days as long as the authority respond within the initial time limit stating when it believes it will be able to respond in full. Will I always get the information I ask for? Not always. The Freedom of Information Act recognises that there will be valid reasons why some kinds of information may be withheld, such as if its release would prejudice national security or damage commercial interests. For some exemptions the public authority must consider whether the public interest in withholding the information outweighs the public interest in releasing it. If it decides that the information cannot be released it must tell you and explain why. Public authorities are not obliged to deal with vexatious or repeated requests or in some cases if the cost exceeds an appropriate limit. In addition the Act does not provide the right of access to personal information about yourself. This is instead available under the Data Protection Act again, subject to certain exemptions, and is known as a subject access request. Can I complain if a public authority refuses my request or I am dissatisfied with the way it has been dealt with? For environmental information complaints you should make your complaint within 40 working days. The Information Commissioner’s Office recommends that public authorities carry out internal reviews within 20 working days. Under Environmental Regulations Information there is a legal requirement that internal reviews must be carried out as soon as possible and within 40 working days. The authority cannot charge for carrying out an internal review. If you believe that the public authority has not dealt with your complaint properly, or if it does not have a complaints procedure, we may be able to help.